Okay, once there was a princess named Ari didn’t really want to be a princess if she couldn’t snort, eat what she liked, or be friends with Cleo, the daughter of the head of the kitchens. Ari’s twin brother Thad was king of Súndraille. He didn’t want to be king if he couldn’t keep his sister safe. So he made a deal with a dark and dangerous fae named Teague who could make it all better, but at the cost of his soul in ten years’ time. Sebastian was a poverty-stricken young man with a mysterious past who became the new king’s weapons master. He didn’t want to be near people at all but was just making coin until he had enough to buy a cottage by the sea far, far away. These three young people must work together to find a solution to their problem: saving Thad’s soul and the entirety of Súndraille from obliteration and repression by the evil Teague. This book was an absolute joy to read. It had all the classic markings of a good fairy tale–a dark and twisted premise, a wicked villain, and a heroine with a heart of gold. But in addition to that C.J. Redwine wove in cheeky humor, palpable sorrow, and some rather gruesome action. It all melded together into a delicious read that kept me turning pages. It moved like a comet and kept me guessing until the very end. 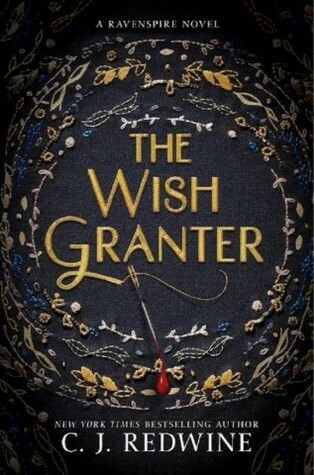 THE WISH GRANTER started with the idea of writing a story about a Faustian Rumpelstiltskin, and then everything else built from there. I do a lot of world building and character development in my head (sometimes for years) before finally sitting down to write a very detailed synopsis, which mostly deals with backstory, world, and the major plot points. I discover the minor plot points as I write. I love stories with vivid worlds, high stakes plots, and emotionally driven characters, so I’ve taken bits and pieces of inspiration from other writers who have some of those elements in their stories. Some examples would be Katie McGarry, C.S. Lewis, Terry Brooks, Rae Carson, Courtney Stevens, and J.K. Rowling. I do! I build specific playlists for each book I write. My playlists are public on Spotify. This is Redwine’s second book in the Ravenspire series. The first, The Shadow Queen, is a clever retelling of Snow White, and not to be missed. C.J. 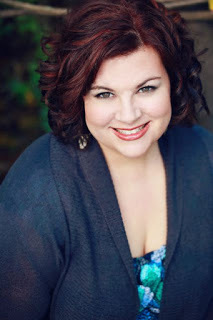 Redwine is the New York Times bestselling author of YA fantasy novels, including The Shadow Queen, The Wish Granter, and the Defiance trilogy. If the novel writing gig ever falls through, she’ll join the Avengers and wear a cape to work every day. To learn more about C.J., visit her website at www.cjredwine.com.